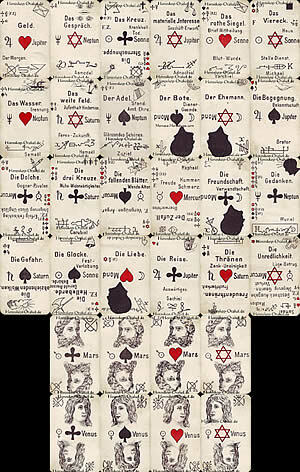 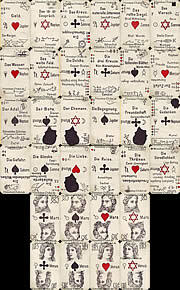 Lenormand cards have been used for prediction of events since the 19th century, sometimes with a very high success rate. 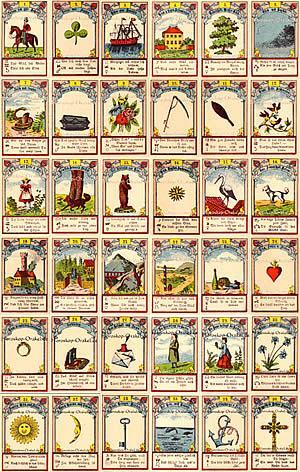 Already the Emperor Napoleon, his wife Josephine, and even some of his generals, used the divination services of Mlle Lenormand. 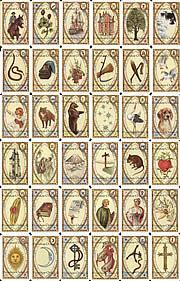 Here is a modern version of the Lenormand cards specially designed for astrology. 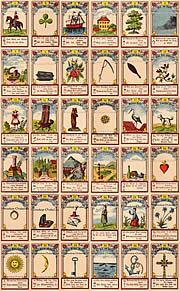 To see the meaning of a single card, click on the corresponding card and you will see the respective meaning, also with singlehoroscope and a partnerhoroscope. 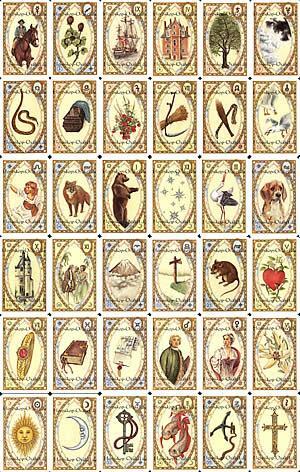 How do you like the astrological Lenormand Tarot? 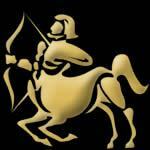 The average rating result is 8.29 of 10 stars.